The ARE-571 antenna radome enclosure is an ideal solution for mounting the horn antenna in harsh environments. 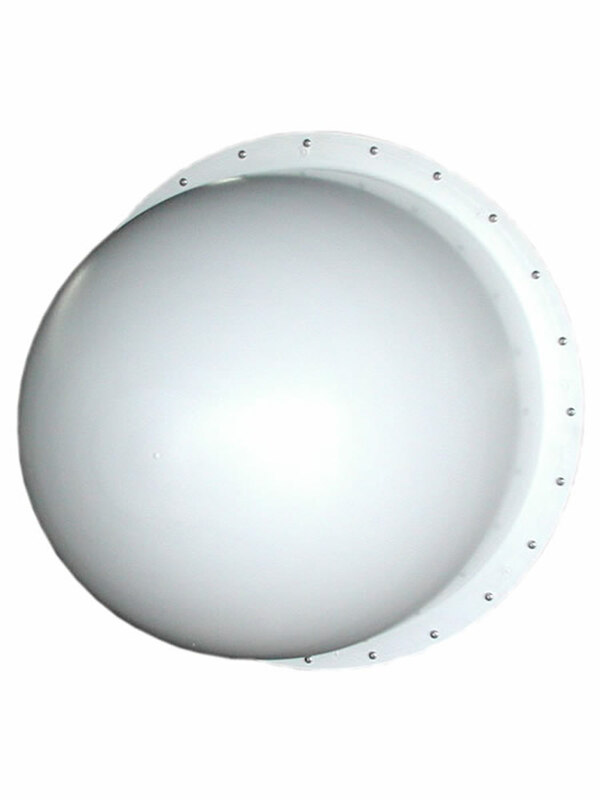 The ARE-571 antenna radome is a vacuum formed thermoplastic enclosure that offers excellent UV stability with minimal color shift over time when used outdoors. The radome cover is made of a high strength material to withstand abuse and still allow for excellent RF transparency. The ARE-571 Antenna radome also meets UL flammability standards which can be important in meeting local codes or fire regulations. The antenna radome was initially made to fit the SAS-571 double ridge guide horn antenna, however it can house many other antennas. The radome housing includes the radome, antenna mounting plate, 2" mounting brackets, 18GHz RF cable and feedthrough connector.